Are you a student of the University of Wrocław who loves football? Join FC International UWr! Our team has been created in order to have fun, play, and integrate people in an international environment.FC International UWr participates in the events of Śląsk Wrocław PRO league. 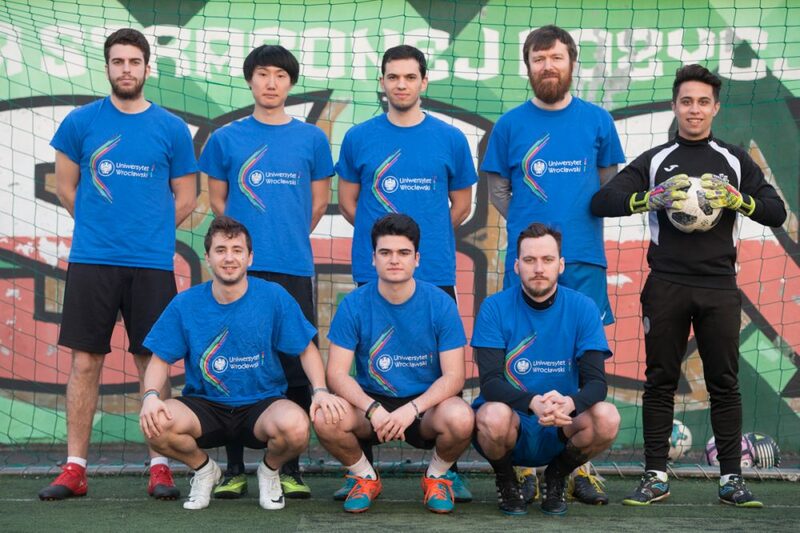 Even though it is a young team, it still has some successes under its belt – 7th place in the First League indoors in the winter edition and the 1st place in the Fourth League in an open pitch in the spring edition.We extend our invitation primarily to our foreign students, both ladies and gentlemen, but also to Poles. Experience in playing football is welcome. The matches will take place in the afternoons and evenings on Saturdays and Sundays from 1 December 2018 until 17 March 2019. Apply by sending an e-mail to: michal.kus2@uwr.edu.pl.